Simplus | Is Pardot or Marketing Cloud a better choice for me? 24 Aug Is Pardot or Marketing Cloud a better choice for me? The world of marketing automation is dominated by several powerful pieces of software. 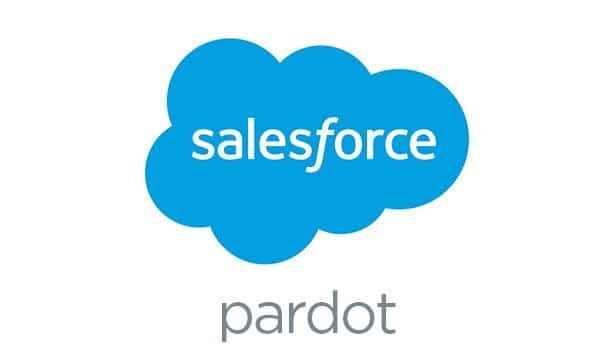 Salesforce owns two prevalent platforms; Marketing Cloud (formerly ExactTarget) and Pardot. So what is the difference between these two platforms? How do you choose the right one for your business? Pardot and Marketing Cloud are each aimed at a different type of business. Pardot is meant for business-to-business companies (B2B), while Marketing Cloud is intended for business-to-consumer companies (B2C). While both platforms share similarities, they have very different purposes. For this article, we will illustrate the different use cases with two imaginary companies. Universal Containers (B2B) – A company that sells professional services to manufacturing companies. This company markets at industry events and has about 10,000 prospects. Northern Trail Outfitters (B2C) – An apparel company that sells a variety of products. This company has several stores nationwide, an e-commerce store, and markets to 300,000 customers. Let’s discuss a few differences in the platforms, and how that relates to our businesses. Power. A B2B company typically markets to a smaller set of people. For example, Universal Containers (UC) will probably only send to 4,000 prospects at any one time. Northern Trail Outfitters sends more than 10,000 emails a day through multiple lists and automation programs. Personalization. For modern consumers, personalization is an important part of successful marketing. Business communications are expected to have your name and some information tailored to your interest. Personal communications are held to a much higher standard. For example, Northern Trail Outfitters might send you a coupon on your birthday or send a discount code after an abandoned cart session. Maintenance. Marketing automation isn’t just turning on a software platform. To effectively leverage any marketing automation, resources will have to be assigned to monitor, report and maintain the system. For our example companies, their goals make the choice of software simple. Universal Containers doesn’t need transactional emails, just basic social media integration, and doesn’t have or need a full team of people to run the marketing department. Because of these factors, Pardot is the better choice for them. Northern Trail Outfitters can leverage advanced features to market to their customers. They can send text messages to people when they enter a store, send transactional emails (successful purchase, abandoned cart, etc. ), and require advanced contact management and personalization. For this company, Marketing Cloud is the better fit. Regardless of your business’s needs, an experienced consultant is often the largest factor in making your software implementation a success. Gathering your business requirements, weighing pros and cons, and making a recommendation is an important step in setting your business up for success.